>>>>> comes from Google and other internet-based outfits. >>>>> (Apple made the same mistake). >>> ship Windows with Firefox as the default browser (only in the UK, as yet). >>> I still install Firefox on merely many Windows computers that come my way. >>> It's the least an individual can do to prevent the Net from becoming .NET. >> itself for many uses. I'm sure google see things this way. > Peer-to-peer is coming to Firefox too. 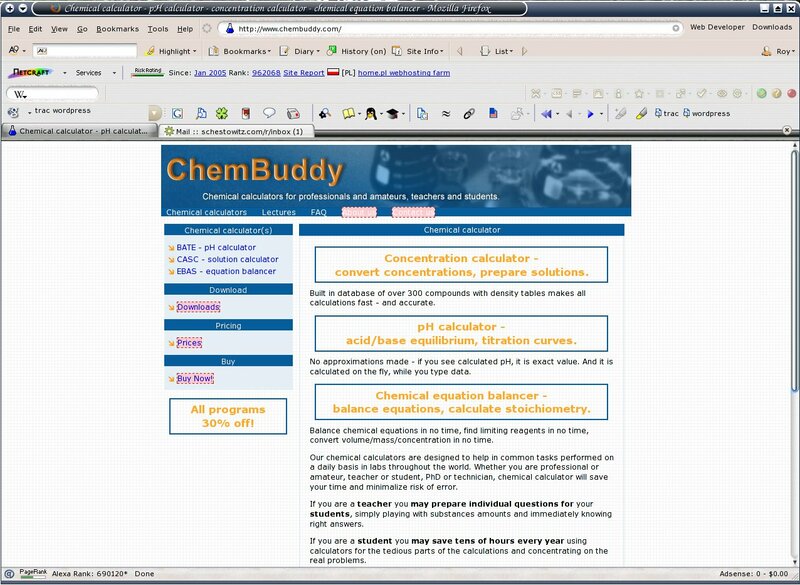 the tabbrowser extensions, and several others too. >>>>> it would be even further behind...."
>>> users to Hotmail (MSN). >> in an unexpected direction. > Awareness has become as important as (if not more than) the costlessness. > is not the holy grail of all.